Your Complete Full Service Repair Shop. 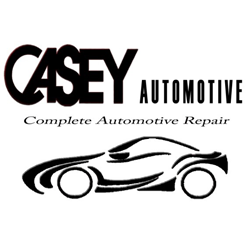 Casey Automotive Service and Repair is located in Palatine, Illinois. Rather than taking a trip to the dealer or the big guys, folks from all over Chicagoland are discovering friendlier service and better rates at Casey Automotive. Casey is your local auto repair expert with over 41 years of experience. We combine the best of both worlds - old world customer-first service with the absolute latest automobile service technology. All our mechanics are ASE certified and eager to work on your automobile or truck, whether it&apos;s a domestic or foreign , old or new. Casey offers a lifetime warranty on many of our auto parts. I've been using Casey's since I moved to Palatine...20+ years! Never had I had a bad experience here. And I own 4 cars! Friendly service and great explanations of repairs required. Thumbs up to Pete, Jessie and the whole team!! all work has been done correctly,in a timely manner and all people involved seem very trust worthy. Gives you a total price before work is started. Calls if there are any changes, or if they discover any other needed repairs. Does dealer warranty work also. RESPONSE FROM Casey Automotive: Thank you Terry for your review! We have always received great service at Casey Automotive. We have been servicing our vehicles there for the past 5 yrs. They are very honest and have never taken advantage of any service that is not needed! Highly recommend them! Each experience I've had with them has been positive. Wouldn't bring my car anywhere else! Honest, reliable and great people! Keep up the good work Casey! We have had some issues with our Explore lately and Pete has been very helpful. It has been a bit more expensive than expected but that could not be helped. We have always felt that Pete has treated us fairly and honestly. Even tho my car is old ('99), and the parts weren't on hand, they got the parts the next day, and my car passed the emissions test (rough idle; check engine light ON) the following day.